3. Private service, customizable journey. Mount Everest, also as Mount Qomolangma in Tibetan, is located as the highest point in our planet with an altitude of 8844.43 meters. For mountaineers, it is the lifetime dream to climb up to the summit of the mountain. While for us regular tourists who may not be able to reach the top, we still have chance to see the world’s most grandiose landscape. Today we can explore this peak from both side of Nepal and Tibet. Compared to southern slope in Nepal, the northern slope is more original and less visited, which is perfect for sightseeing. Regular travelers usually can reach the Everest Base Camp (5,200m) where you can see Mount Everest propping up the sky like a majestic pyramid. Lower a bit the EBC, it is the highest monasteries in the world – Rongbuk Monastery. As a famous saying in Tibet goes: "no Tibet tour is complete without visiting Mount Everest"! That's right! This is a once in a lifetime adventure that everyone should take so they can leave their footprints on the highest peak in the world. This tour will help you realize that dream. The tour starts from Lhasa, travels via the cities of Gyantse and Shigatse, to Mount Everest, and then back to Lhasa. There are a lot of things to do along this tour route. 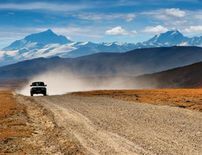 Take the big convenience of international arrival in Nepal, and extend your trip from Kathmandu to the miraculous Tibet plateau. 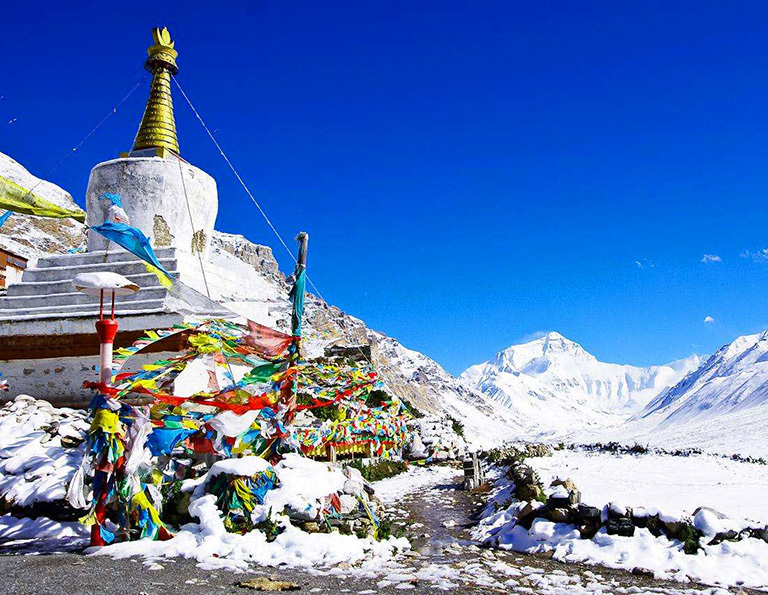 Go to visit the most classic destinations in Tibet, such as Mount Everest, Shigatse, Gyantse and Lhasa. Take this memorable adventure across the roof of the word. From the spiritual and economic center Lhasa, you will travel to the plains of Gyantse and Shigatse, then traverse the world's highest mountain range to the highest peak in the world - Mount Everest. 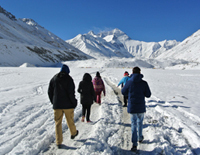 Explore deep into the heart of Tibetan Buddhism, people, culture and spectacular scenery. The longer you stay in Tibet, the more memorable experience you will get! 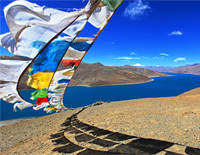 Spending several weeks in Tibet is not possible, but 10 days are strongly recommended because you will have enough time to explore different features of Tibet - Tibetan Buddhism, local culture, friendly people, food, custom, mountains, lakes... At the same time, you can travel at the most enjoyable pace from one place to next. An in-depth discovery of both the best highlights of Beijing and Tibet! 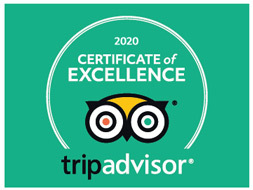 You will firstly explore China’s ancient history and culture in Beijing, then take a flight to the holy land Tibet where you will visit the most famous Tibetan monasteries and palaces of Tibet in the famous Golden Triangle Destinations(Lhasa, Gyangtse and Shigatse), also take an exciting expedition to the highest peak in the world - Mount Everest. Amazing scenery, treasured culture and turbulent history, this tour gives nothing but the splendid and glorious. Discovery Tibet from Chengdu and enter this mysterious land by visiting Lhasa, Shigatse and Everest Base Camp to get first sight of Everest,... all will leave deep impression to you. Let's go now to lift the veil of Tibet. Having a Tibet tour from Chengdu after visiting Giant Panda would be classic. Earthly paradise, holy ground, pure peace...all can be experienced in Tibet. Visit majestic Potala Palace, have a close look at spectacular Mt. Everest and pray in Monastery, etc. This charming and mysterious land always attract you with its extraordinary sight, devout prayer and profound Tibet Culture. Also travel beyond China's borders and extend to Kathmandu from Lhasa overland for several days. 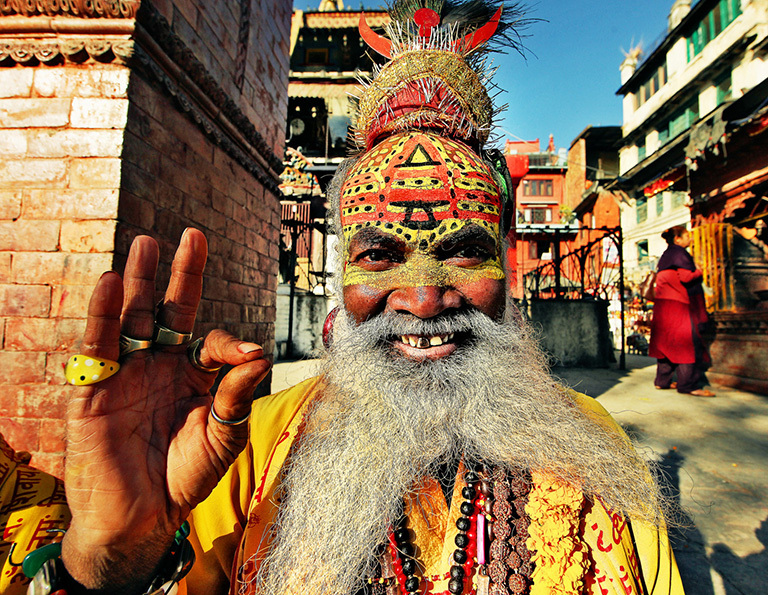 This 15-day tour brings you exotic feeling in Nepal and witness how the way of life changes.